You can turn on show coordinates in the options menu without turning on cheats. And diamonds are commonly found at y coordinate 12. One noobish thing i did once was to try and find diamonds at a Y cord higher than 12...i am very glad for the "facts" when you join a world. I got diamonds! And 100 things of Redstone!!!! they are for putting designs on banners. Redstone is very common to get. The first thing to do, (if you haven't already) is to make a diamond pickaxe, and then an enchanting table. How many diamonds do you have? 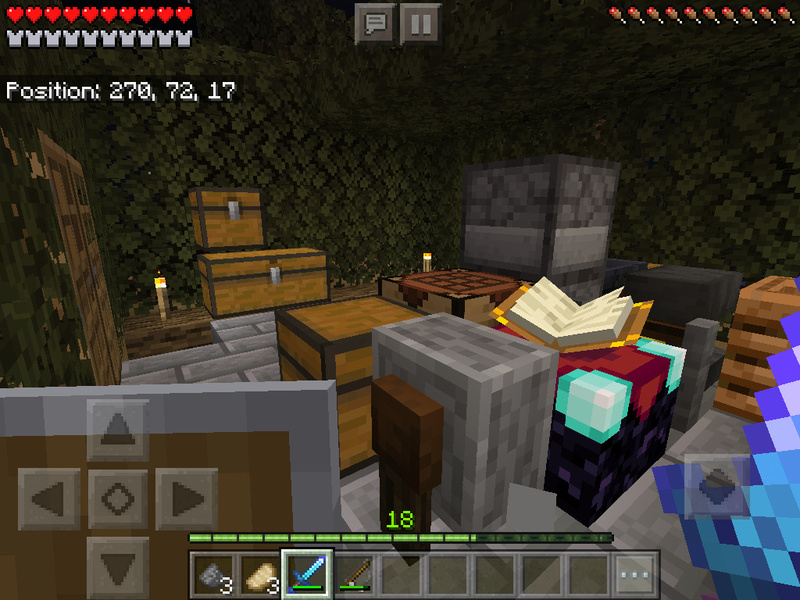 Okay you need two diamonds, four obsidian, and one book to make an enchanting table. The easiest way is to make a bucket, fill it with lava, and then take it up, dig a hole, and then put water on it. After you have an enchanting table you can enchant your pickaxe with fortune, in which you get more of everything, except iron and gold, which you have to smelt. Just click on a lava source with the bucket in your hand, and then you'll pick it up. 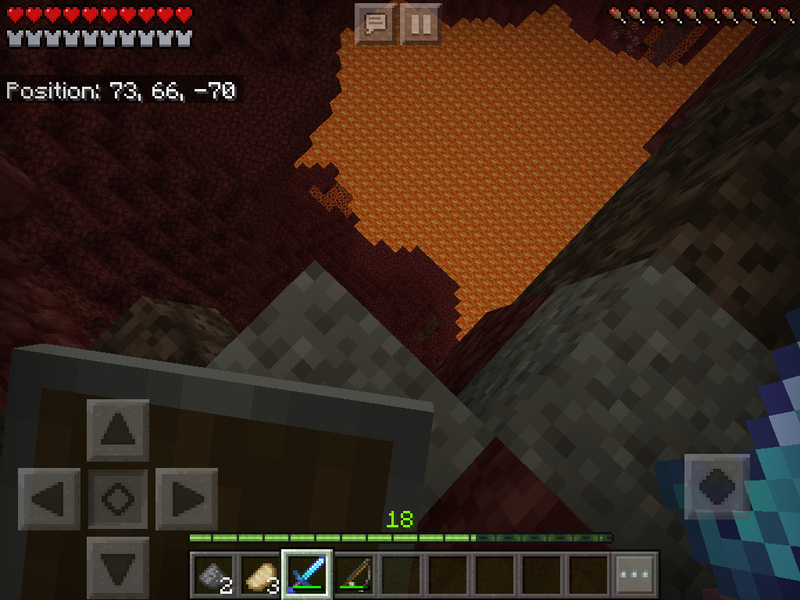 Me in the nether almost falling in. what is the stone grinder for. It has no use, but I made it to see if it has a use. SFTDP it has a use on Java. Apparently you can put an item with an enchantment in it and remove the enchantment. Cool! Thanks! How do I get to the nether? You need a nether portal which you make out of obsidian. I'll post a pic in a sec.